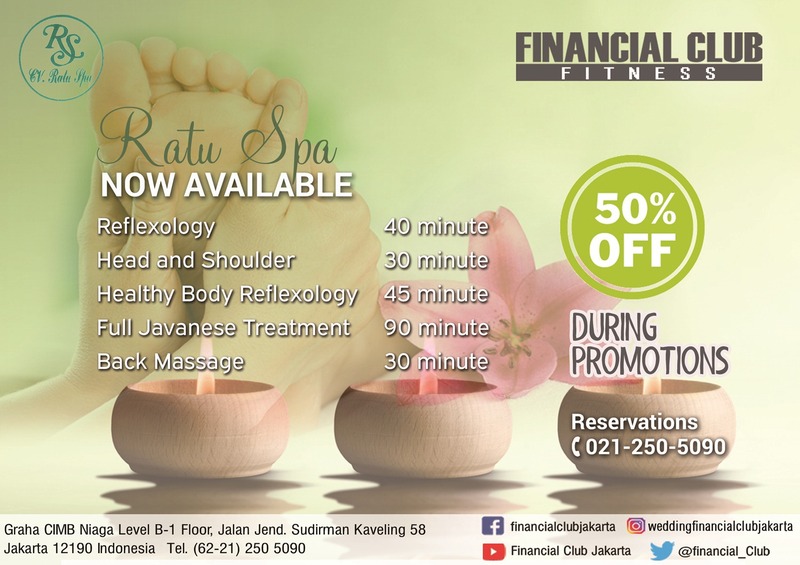 Ratu Spa is now available at Financial Club Jakarta Fitness Center. 50% Discounts are available during promotions. See you at the Fitness Center.